One of our favorite bands is Voivod, so we’re glad to hear about new releases and new tours. Post Society, coming out on Century Media next month, is a long-playing EP containing tracks from the band’s split 7″es with At the Gates and Napalm Death, a cover, and two new tracks. Pre-orders are up at CM Distro. Voivod’s hitting the road in the States and Canada with Vektor, and Eight Bells and Black Fast are playing some of the shows as well. Tour dates are below. This isn’t the first time we’ve written about Voivod. About a year ago we posted live footage of Voivod playing in Baltimore. We interviewed the band in 1996 for archive zine issue #18 and in 2010 for issue #41. 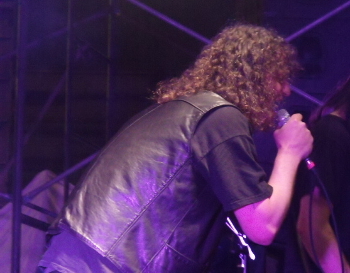 We’ve also got some live pics from our Tumblr: Voivod in 2010, and in our archive gallery. This entry was posted in News and tagged At the Gates, Canada, Century Media, Napalm Death, tour, voivod by Editor. Bookmark the permalink.